Celebrities are always making headlines for their commitment to animals by remaining cruelty-free and maintaining a vegan/vegetarian diet. Well, what about those celebs that portray such healthy eating habits and animal-friendly characters on television? Here are six fabulous characters that are not only known for their roles on hit TV series, but also for their plant-based lifestyles. One wouldn’t think a character on NBC’s “Grimm,” which follows Detective Nick Burkhardt as he solves crimes and hunts fairytale creatures based on stories by the Brothers Grimm, would be a so-called vegan. The show can be pretty gruesome at times, with many creatures killing people, but for Monroe, Nick’s Blutbad – a wolf like creature based on the Big Bad Wolf– friend is very dedicated to his plant-based diet. In addition to his witty comments, fixing watches, playing the cello and taking Bikram and hot yoga classes, Monroe refrains from feeding on humans and animals. 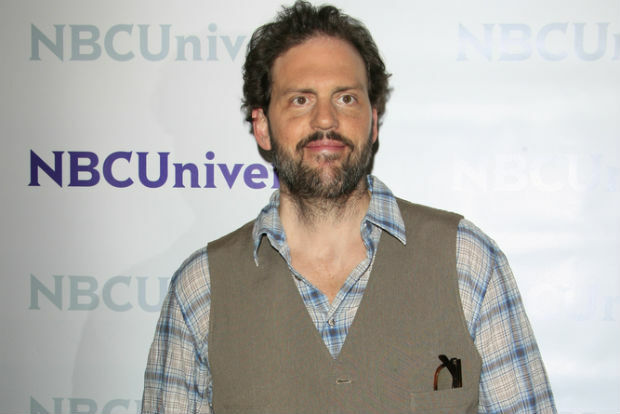 Played by Silas Weir Mitchell, in one episode Monroe also enjoys a nice piece of vegan salmon. He used to live a violent life as a Blutbad, but has transformed into a kind creature focused on living a healthy life in more ways than one. The hilarious Lisa Kudrow is known for her quirky role as Phoebe Buffay on the hit TV series “Friends.” Phoebe had a hard and interesting life living on the streets, as she basically raised herself. Out of Ross, Chandler, Joey, Rachel and Monica, Phoebe is the one friend who truly respects the environment. She loves plants and animals. After all, one of her most popular hits, “Smelly Cat,” was a big success. In addition to loving animals, Phoebe is an avid vegetarian. No meat for her! After she became a surrogate carrying triplets for her brother, Phoebe hit a snag in her diet. 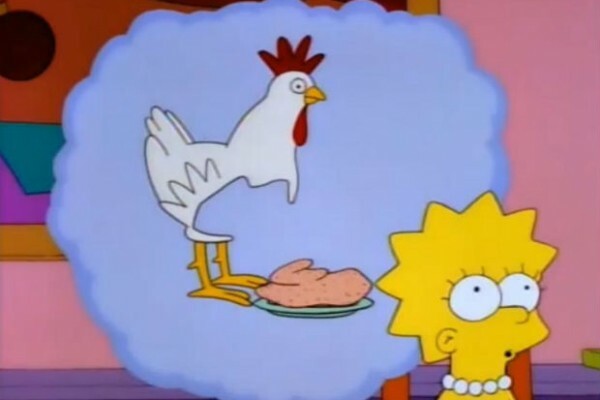 She craved meat and felt terrible. To even the score out, Joey pledged to go vegetarian so Phoebe could eat meat. That way, no extra animals would be harmed. Yes, it’s not fully respecting animals, but at least she tried. Even cartoon characters can go vegan or vegetarian. 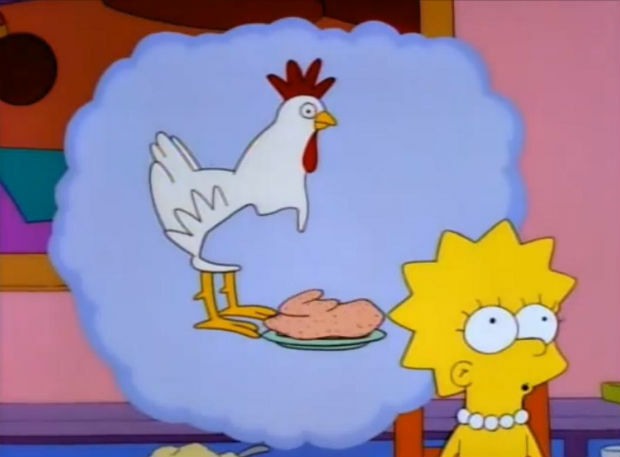 In addition to being a staunch liberal, Lisa Simpson from FOX’s “The Simpsons” is a diehard vegetarian who decided to say sayonara to meat in season seven. She stands up to her father aka Homer’s BBQ eating habits, the villainous Mr. Burns and his factory that uses sea animals to create mud/cement mixtures and she even falls head over heels for Jesse Grass who is a “level-five vegan” in the Dirt First eco-group. Lisa also had the opportunity to talk with Paul McCartney and his late wife Linda about vegetarianism and their eco-friendly lifestyle, with a little help from vegan/convenience store owner Apu. When the “holier-than-thou” and controlling Angela Martin from NBC’s comedy “The Office” isn’t completing her duties as accountant, planning a party or having an on-again, off-again relationship with Dwight Schrute she can be seen sauntering around the office as a vegetarian. Since she likes have every situation in control, she also likes to control her eating habits. Angela, played by Angela Kinsey, is also an animal lover, but only with cats. Her home is filled with them and no animal can compete against felines, especially her own. Crime scene investigator and forensic scientist Sara Sidle from “CSI” may be able to handle disturbing murders, but one thing she won’t tolerate is eating meat. While investigating one crime scene she stumbled upon a dead pig and quickly changed to a full-fledged vegetarian. She even told Grissom once, “I’m a vegetarian. Everyone here knows I’m a vegetarian. I haven’t eaten meat since we stayed up that night with that dead pig. It pains me to see ground beef. Forget about cleaning it up.” Another fun fact is Jorja Fox, who plays Sara, is also a vegetarian in real life. On FOX’s hit crime show, “Bones,” Dr. Temperance Brennan aka “Bones” is a forensic anthropologist who is not only committed to figuring out cases, but also to eating healthy. A devout vegetarian, Bones respects the environment. Ironically, Bones is played by Emily Deschanel who is an avid vegan in real life. She even stuck with her plant-based diet through her first pregnancy. Furthermore, Deschanel is also a lover of animals. She will be honored on June 2 by Mercy for Animals for her work in preventing animal cruelty and leadership in protecting farm animals. TV is a big influence in people’s lives. Whether you’re a child or an adult, TV can transform you, especially if it’s a favorite or significant character. Like the characters above, maybe they can even turn you into a vegan or vegetarian. I though everyone ate artificial computer generated food or something. It is true, the entire human race are ‘vegetarian’ but that is mainly due to convenience of 24th century technology. Vulcan’s were vegetarian for centuries due to philosophical and ethical reasons. 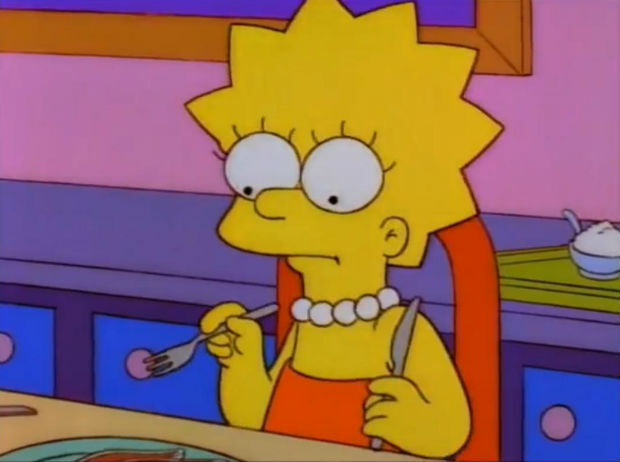 The DVD commentary for The Simpsons ‘Lisa the Vegetarian’ explores a lot of the ideals around vegetarianism and veganism, I highly recommend it. MacGyver was also vegetarian. They didn’t talk about it much, but it was there in the background. Tate Donovan’s character “Tom Shayes” in Damages was vegan. Lisa Fischer from Six Feet Under. You should mention the most famous vegetarian and animal rights activist in world history. Adolph Hitler. Wrong! It’s well documented that Hitler was NOT a vegetarian. He didn’t seem to be that fond of animals, either. All it takes is a quick google search to find out the facts. Meat eaters need to stop spreading the LIE that Hitler was a vegetarian. It’s a stupid argument anyway. I’m pretty sure Osama bin Ladin ate meat. Does that mean all meat eaters are terrorists? One of the first things the Nazi’s did after seizing power was to outlaw the German Vegetarian Society. But why bring up Hitler when this entire discussion is about FICTIONAL characters. Well, I guess Hitler was a fictional veg, so touche! And Avatar Ang from avatar the last airbender ! Nikita is vegan in the show, and the actress who plays her (Maggie Q) is vegan in real life. Kwai Chang Caine, the character from Kung Fu was vegan and ‘meat eating’ came up several times during the three seasons. At least two different characters Caine became friends with decided to give up eating meat. The actor, David Carradine, also became veg from playing the role. Jodie Foster’s character in SILENCE OF THE LAMBS was vegan. Steven Seagal has played a vegan in his films too (as he is veg in real life). What about Mrs. Kim from Gilmore Girls? She was definitely a vegetarian, possibly a vegan because in the 24-hour dance marathon episode, she served the attendees and dancers eggless egg salad sandwiches. Also, in the book, The Fault in Our Stars, Hazel Grace Lancaster is an ethical vegetarian. In the movie, they downplayed that aspect of her character, but she never actually ate any meat. I wish that they would have kept at least one of the references to her vegetarianism though.